The bells of St George’s Chapel in the Curfew Tower will ring out on several occasions in 2018; the first time being on Monday 1 January in celebration of the New Year. The bell ringers gather in the Curfew Tower on major Christian festivals, Feasts of Title (St George, St Mary and St Edward the Confessor) and on Royal Birthdays. In addition to New Year’s Day the bells will also ring out twice more in January 2018; on 9 and 20 January marking the birthdays of The Duchess of Cambridge and The Countess of Wessex. 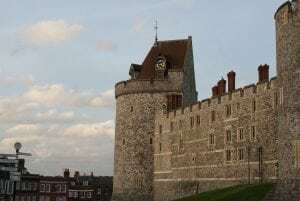 The Curfew Tower is at the west end of Windsor Castle. These two photographs show the Tower as seen from the town and as seen from the west steps of St George’s Chapel rising above the roof of the Horseshoe Cloister. There are eight bells hung for change-ringing ranging in weight from just over 6 cwt to 22 cwt and in date from 1612 to 1898. 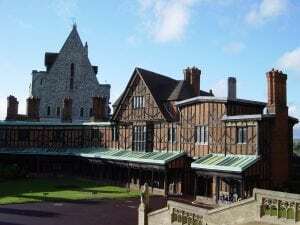 In November 2017 a full peal (approximately three hours of non-stop, accurate ringing) took place to celebrate the 70th wedding anniversary of The Queen and The Duke of Edinburgh. 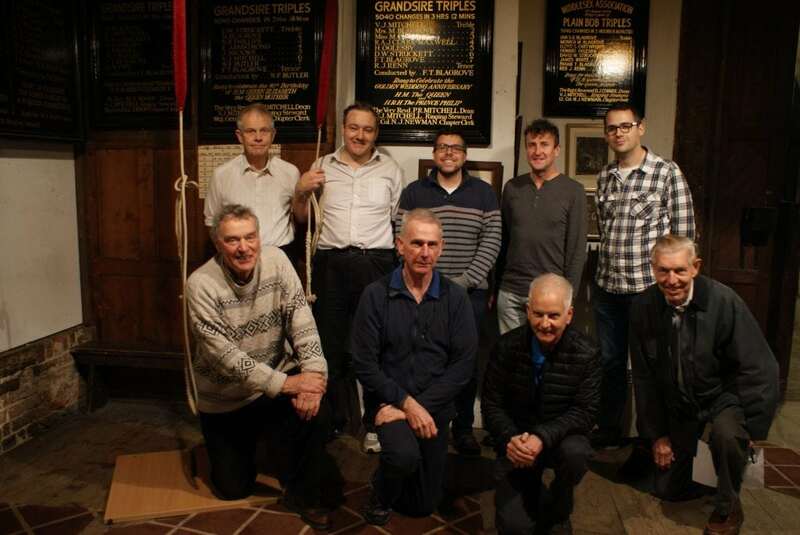 Those who took part are seen in this photograph together with Vic Mitchell, Steward of the Bell Ringers. They are standing in front of the peal board which records the full peal rung to celebrate the Golden Wedding anniversary of The Queen and The Duke of Edinburgh.